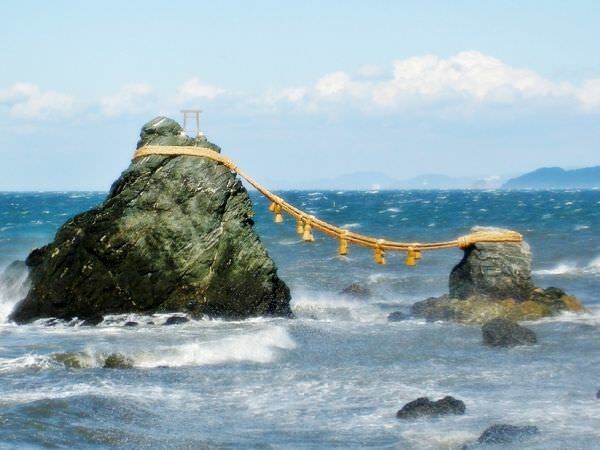 Futamigaura is a seaside in Ise City, Mie Prefecture. It belongs to Ise-Shima National Park (refer to #296). 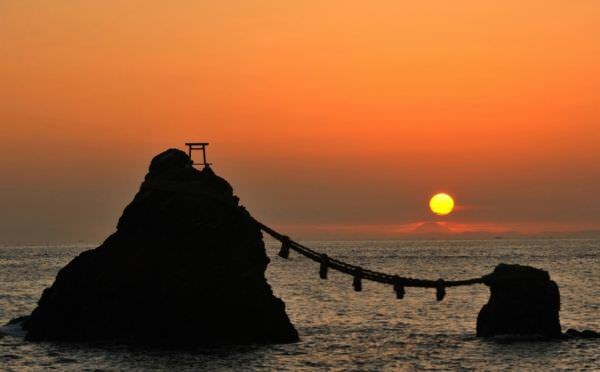 It is known as a sight-seeing spot and listed as a place of scenic beauty by the Japanese government. There are a couple of rocks in Futamigaura. They look like "meoto" (meaning husband and wife). So, they are called "Meotoiwa" (refer to #388) and very popular to see among the tourists.